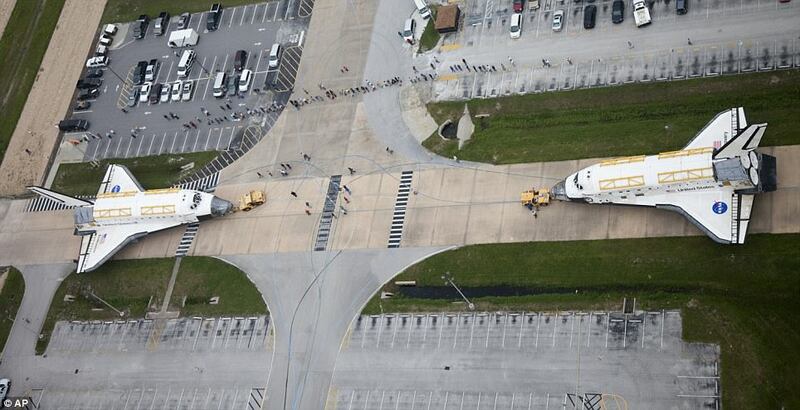 This is a sight that will probably never be seen again: two space shuttles nose-to-nose in the same location. 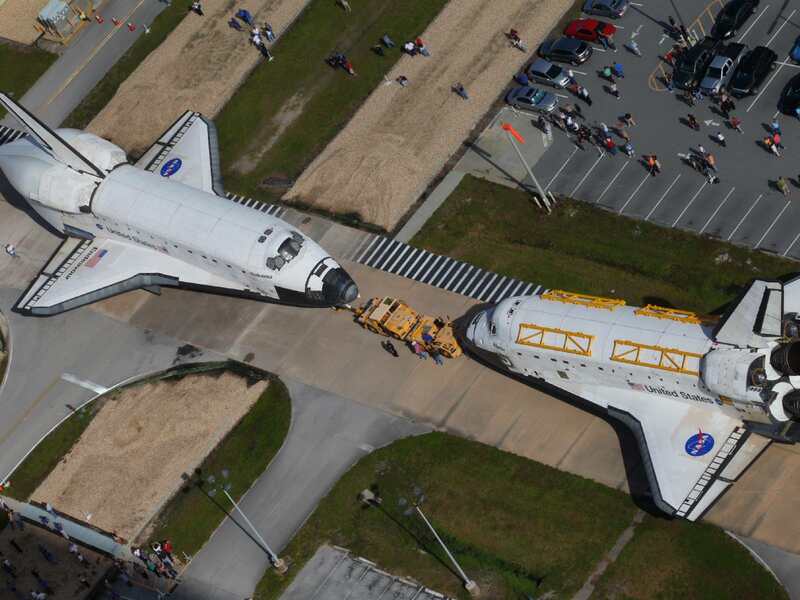 NASA’s space shuttles Endeavour and Atlantis switched locations today at Kennedy Space Center in Florida, and met each other for the last time in front of Orbiter Processing Facility 3. Endeavour was moved from OPF 2 to the Vehicle Assembly Building where it will be housed temporarily until its targeted departure from Kennedy atop the Shuttle Carrier Aircraft in mid-September. After a stop at the Los Angeles International Airport, Endeavour will move in mid-October to the California Science Center for permanent public display. Atlantis will undergo preparations for its move to the Kennedy Space Center Visitor Complex in November, with a grand opening planned for July 2013. Space Shuttles Enterprise, left, and Discovery meet nose-to-nose at the beginning of a transfer ceremony at the Smithsonian's Steven F. Udvar-Hazy Center, Thursday, April 19, 2012. Credit: NASA//Paul E. Alers. This event took place today at the National Air & Space Museum’s Udvar-Hazy Center in April, 2012 as space shuttle Discovery, the first orbiter retired from NASA’s shuttle fleet, met up with its prototype sister, Enterprise as they switch spots. Discovery is now at the Air & Space Museum, while Enterprise headed to New York City’s Intrepid Museum. The first time two space shuttles were ever on the launchpads at the same time was in 1985. Then it was Columbia for STS-61-C and Challenger for the ill-fated STS-51-L. In the 30-year duration of the space shuttle program, having two shuttles on the launchpads at once happened just 17 times. Space Shuttles Discovery and Endeavour meet for a nose-to-nose encounter of gaping holes at the Kennedy Space Center on Aug. 11, 2011. The two NASA shuttles shorn of spaceflight maneuvering capability swapped locations to continue the transition to retirement and public display at museum in Virginia and California respectively. Credit: Mike Deep for Universe Today. Tarps covering the engine blocks? People standing around? Two worn out, rusty overused vehicles? This must have been taken in a Walmart parking lot! Back in the late 70’s.. I worked on pressure regulators for atmospherics and the Ku band radar used in the shuttles. Now I feel old…. Why don’t people just get over the shuttles. They weren’t very safe , cost way too much and had a too long turnaround time. 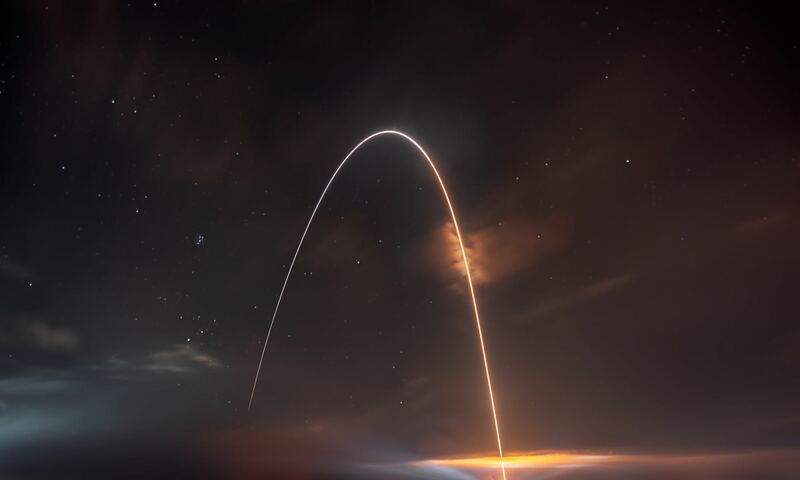 SpaceX and roskosmos that the heat-shield based VTOL approach has a much lower TCO, are safer and are very functional for the entire purpose – to put people into space. They should have left the two alone in a hanger overnight and then maybe we’d have a new reusable offspring vehicle….. lol! Next PostNext Astrovideo: Klingon Bird of Prey Attacks Venus!